The development of 5G technology is not an engineering exercise, but rather a response to the growing communications and data needs of all sectors of society as their information, processes and communications get digitized. The Euro-5G project, in consultation with the other 18 5G-PPP projects, has produced this overview of the domains and sectors being considered by the projects as the target consumers of the solutions and technologies being addressed by the projects. The purpose of the exercise is to classify and define the different stakeholder groups targeted by the 5G PPP projects so that synergies and efficiencies in the solutions being offered can be found. 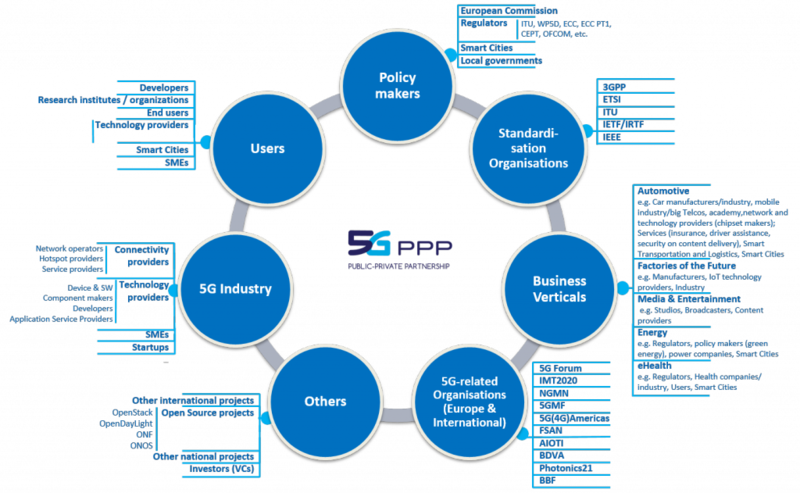 The General Diagram shows graphically the different categories of the 5G PPP targeted stakeholders and the second version of it in the Glossary shows the priorities attached to the stakeholder groups based on the survey of the 5G PPP projects in February-April 2016. The Glossary document has the definitions of the different stakeholder groups identified in the General diagram. 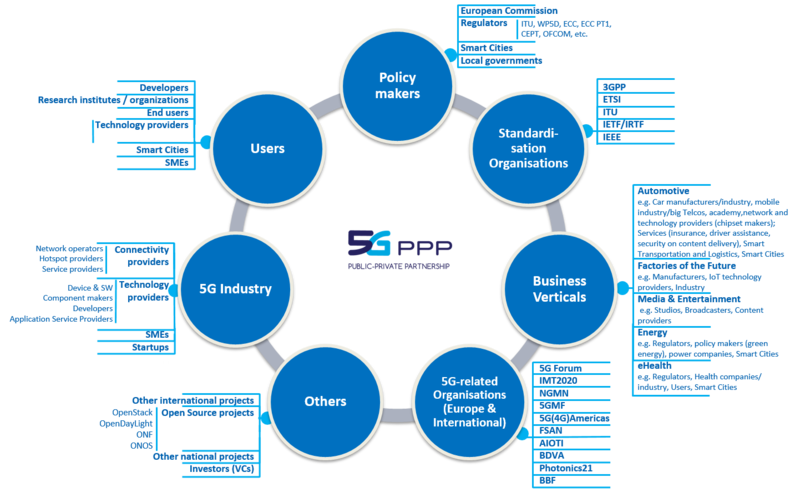 DIAGRAM: 5G PPP projects target stakeholders – created by the Euro-5G project with contributions from the 5G PPP Phase 1 projects. If you wish to quote this diagram please acknowledge the Copyright of the Euro-5G project and the contribution from all 5G PPP Phase 1 projects.